Tomorrow is a benefit for Norwich firefighter and drummer Jarrad "Archie" Dietz. To read the full story about him, check out this article. 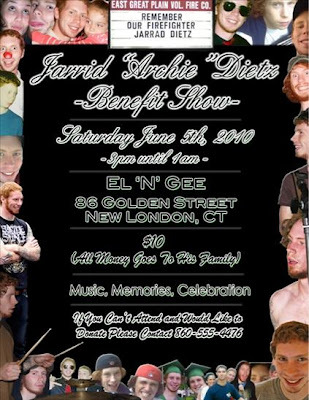 The benefit will be at the El N Gee in New London. 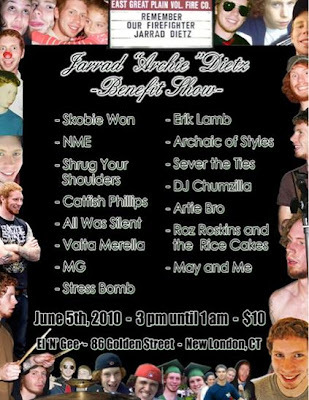 It starts at 3PM and goes till 1AM, and the lineup of bands is humongous. For more information, head to the facebook pages here and here.